I'm kinda crushing on bareMinerals right now. Ever since I went along to a live demo and subsequent make over I've made all kinds of new discoveries from a brand I've previously overlooked. One of the most stand out products so far is Stroke of Light Eye Brightener £22. This one really does do it all. Conceals dark circles, hides imperfections, highlights skin and even covers blemishes. It's amazing under the eye, seriously improving the appearance of fine lines and wrinkles, and the best thing is, it doesn't sit in them. The texture is so dreamy, it's creamy but not thick or cakey. 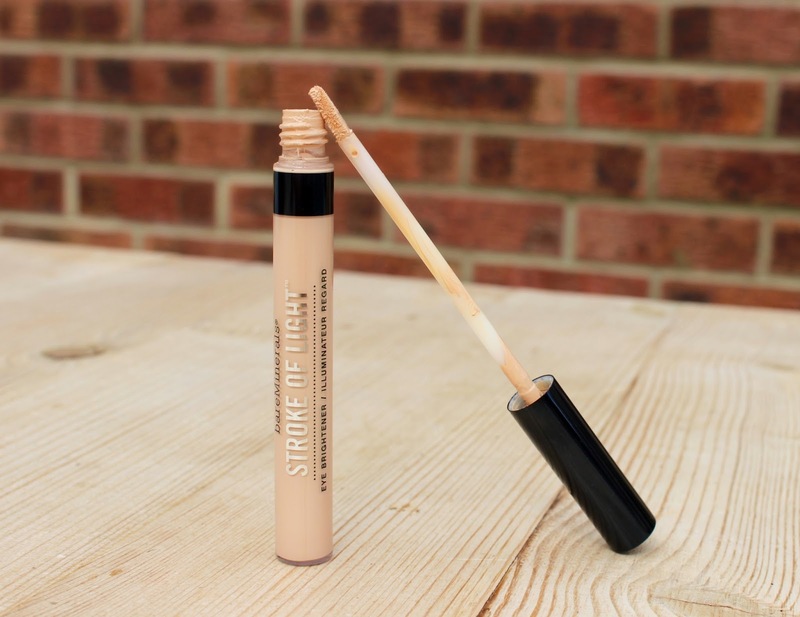 It feels lightweight but packs decent coverage and doesn't set or dry out, which is so important to me. People rave about Nars creamy concealer, but for me, that one does set and dries a little... especially under the eye area. 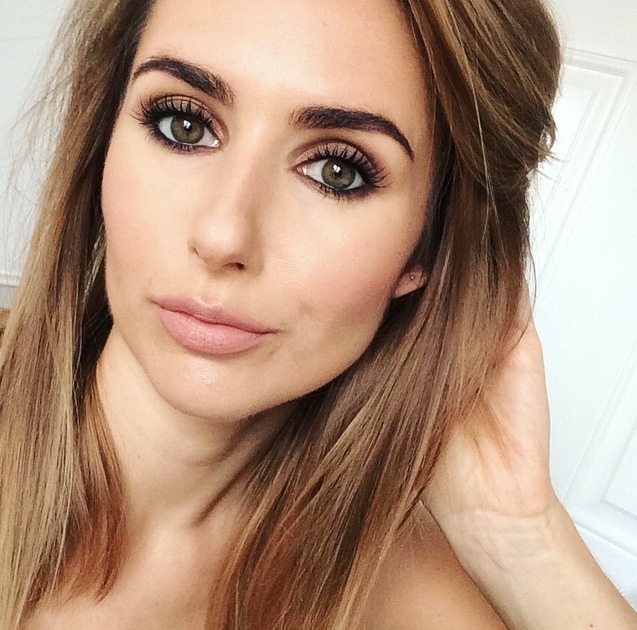 The eye area is so delicate and sacred, you have to use a concealer you can trust and that's the best thing about bareMinerals... It's doing good whilst it's looking good! 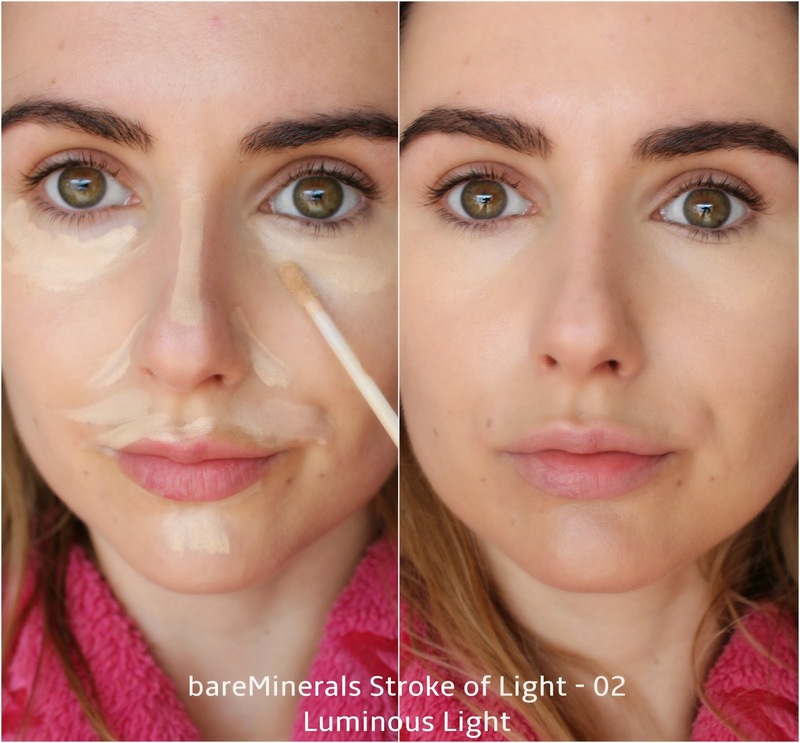 It's also an amazing highlighter if you're doing the full contour/highlight (apparently Kim K is a fan). It catches the light wonderfully and has a magic blurring effect, air brushing imperfections for a flawless finish. It's so good, I'm happy to forgo foundation and just use this (as per the pic above) when I need just to hide the imperfections and go. Stroke of Light comes in four shades, i'm wearing Luminous 02 which has a light yellow undertone making it the ideal antidote for blue/purple toned eye bags. It's similar to MAC Prep & Prime Highlighter, one of my all time fave highlighters, but this is less yellow and slightly thicker and more creamy, lending itself as a concealer and highlighter. 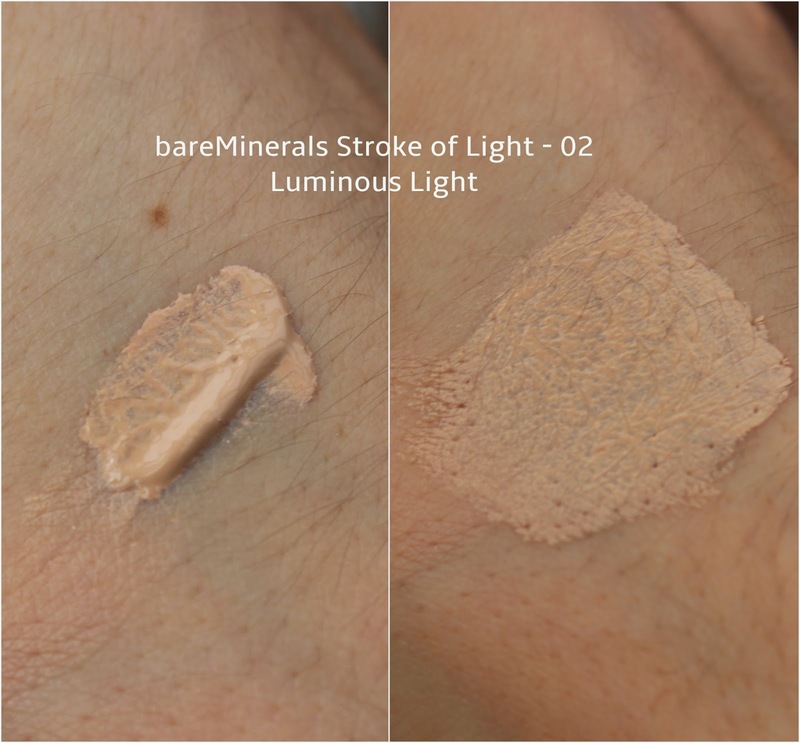 Stroke of Light Eye Brightener £22 Luminous, light reflecting and blends to perfection! What's your favourite concealer/highlighter? *p.s. excuse the brows... this was pre-wax. It looks like such a good concealer! This looks so perfect for under the eyes and incredibly brightening, too.